Posada Carpe Diem i Santander, Spanien : Boka nu! 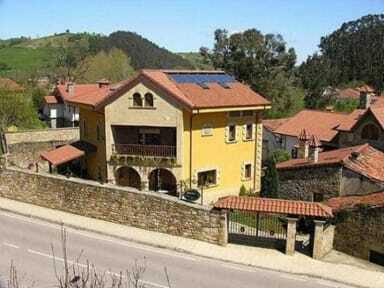 Carpe Diem Inn is in Lierganes, beautiful town in the north of Spain just 21km far away from Santander, in Cantabria. 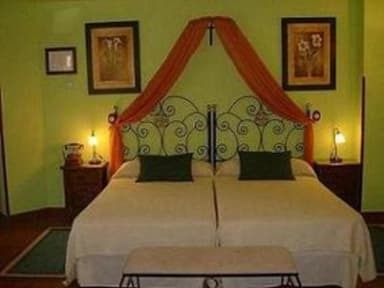 The Inn has 4 double rooms (one bed), 1 twin room (2 beds) and 2 triple rooms (3 beds), with TV-TDT, radio, telephone, Wi-Fi, safe, laundry service, hair dryer, welcome products. It can accommodate 16 people in 7 rooms with a full bathroom. One of them has the typical solarium of the country houses in the Santander region; and another two have hydromassage baths. Among our facilities is also a room located on the ground floor of the building. Our inn is in unspoilt natural surroundings, and as in other parts here in the north of Spain, you will come into close contact with nature. We are also near all the interesting tourist destinations, including the Cabarceno Natural Reserve, Santander, the beaches, Santillana del Mar, etc.